PT Bank Mandiri (Persero) Tbk - Bank Mandiri (IDX :BMRI) or referred to as "Mandiri Group" is an Indonesian government-owned corporation that is involved in banking industry. The Company runs business in Consumer Banking, SME & Micro Banking, Commercial Banking, Corporate Banking, Treasury, Financial Institutions and Capital Market. The Government of Indonesia is the majority shareholder in Bank Mandiri with a 60 percent stake. Another 40 percent staje are owned by investor and public shareholders. At the end of December 2016, Bank Mandiri conducted business operations in all parts of Indonesia under the management of 139 branch offices, 11 direct-subsidiaries, 1,117 sub-branch offices, 189 cash-service offices, 17,461 ATMs and 7 overseas offices. In 2016, Bank Mandiri has shown significant performance improvements. According to PT Bank Mandiri (Persero) Tbk Annual Report 2016 as cited by JobsCDC.com, total assets in 2016 was recorded at Rp1,038.71 trillion or an increase of 14.14% from the previous year. 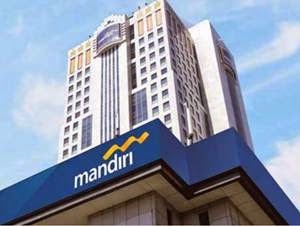 Bank Mandiri's total assets in 2015 amounted to Rp 910.06 trillion. Bank Mandiri booked total third party funds of Rp762.50 trillion in 2016 or increased by 12.73% from Rp676.39 trillion in 2015. Must have minimum Bachelor Degree (S1), preferably from Economics, Financial Management, Marketing. Possess certification in Wealth Management, WAPERD, Internal Investment Certification (IIC). Strong knowledge about the banking operations, investment products and banking products and capital markets. Minimum 2 years of experience as RM Senior/Branch Manager/Branch Sales Manager). Minimum 4 years of experience as RM Junior/PBM/PBO/MO/CSO. Strong knowledge regarding banking and investment regulation. JobsCDC.com now available on android device. Download now on Google Play here. Please be aware of recruitment fraud. The entire stage of this selection process is free of charge. PT Bank Mandiri (Persero) Tbk - Exp Hire RM Private Banking Mandiri May 2017 will never ask for fees or upfront payments for any purposes during the recruitment process such as transportation and accommodation.